The days of using the old square design with walls are long over with the latest additions to Backyard Monsters. It will be torn apart by the flying, healing monster: the Zafreeti. Champions will easily break through such simple designs while wreaking havoc on your defenses and resources. The ability for D.A.V.E to have rockets, giving it ranged capability, means it no longer has to chew through your walls to hit a nearby tower. Adapt to the changes, or fall behind and become an opponents own personal resource bank. Bunkers are not as devastating to invading forces as they used to be. This is due to the amount of flying units added to the game over time. They are not completely useless, in fact, they can be pretty effective if used properly. There are several ways to use bunkers now, depending on which units your opponent decides to use. If your opponent uses hard hitting units, such as D.A.V.E combined with the Zafreeti, you will need to mix it up a bit. To bypass the healing power of the Zafreeti, you will want a few upgraded Eye-ra in your bunkers. These will destroy the D.A.V.E unit in one explosion before the Zafreeti has a chance to heal. To take care of the remaining Zafreeti, you will want to use the upgraded D.A.V.E unit. This will give the unit the ability to hit air units. They are also effective against Teratorn. Eye-ra will not hit air units. Another strategy is to fill your bunkers with high health, low cost units, such as the Ichi. These work as a distraction to invading forces. The upside is that you can quickly refill your bunkers with them if the bunker is cleared. When they reach their targets, it will cause them to begin attacking the Ichi. This gives your towers extra time to deal damage as well as causing them to bunch up. The healing power of the Zafreeti has caused single mine layouts to become ineffective. As a new Backyard Monster defense strategy, you can take advantage of both the new and old land mines by placing them in choke points. Stacking the land mines will overwhelm the Zafreeti and cause massive, if not deadly, damage to the D.A.V.E unit. Attacking units will usually avoid walls if there is an opening nearby. Use that to your advantage by creating multiple choke points and filling them with land mines. 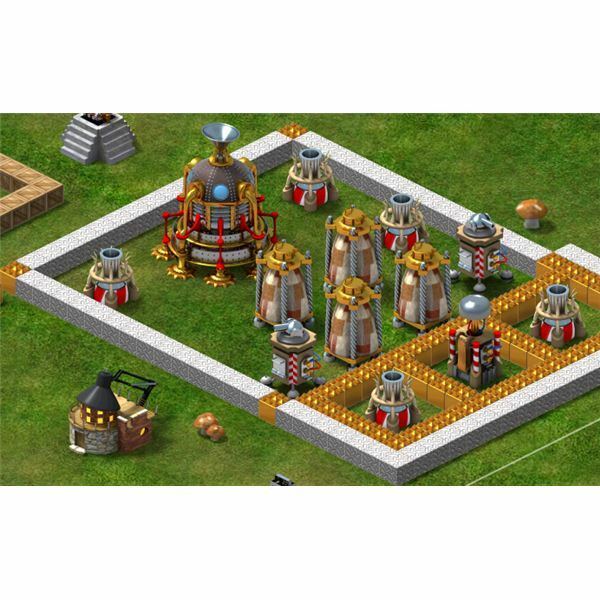 Surround those areas with towers that cause damage to multiple units at once, like the Laser Tower, Cannon Tower, and the Tesla Tower. In doing so, you will maximize the damage dealt, saving you damage and resources in end. Attacking units that are listed as having a favorite target of anything can be easily baited in to traps of defensive towers and choke points. Most players do not drop their forces near buildings that will not give them any benefit. They tend to drop them near resources, one of the biggest reasons they are attacking you to begin with. 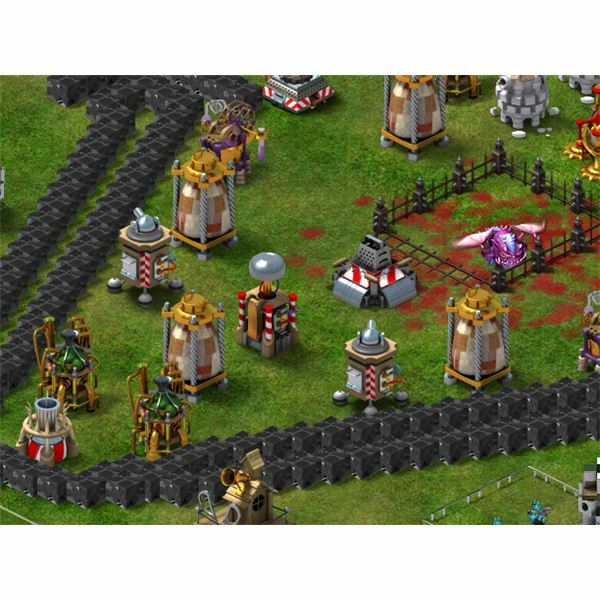 The idea behind this defensive strategy is to place one or more highly targeted buildings outside your wall. Many players, driven by their natural desire to gain resources, will often go for the quick grab without scanning the defenses. This can create another point for your towers to deal massive damage to multiple units at once. It would be obvious to most if only one building was put outside the wall. To keep the player from catching on, have multiple resources traps outside your walls. I would advise using one of each type of resource to avoid an imbalance in your resource production. Walls are not as big of a deterrent as they used to be with the addition of new units and abilities. New layouts will have to be used to improve your Backyard Monster defense strategy. One defense strategy to combat this new problem is having multiple walls around your valuable structures as the image shows. Using multiple walls, and spacing them out as the image shows, will your defenses will be much harder to penetrate for several reasons. One of the best reasons to use this tactic, is to draw ranged units such as the upgraded D.A.V.E, the Teratorn, or the champion Fomor closer to your towers. If you use single layered walls, those units will quickly bypass the wall and begin ravaging both your defenses and resources. Another good use for the spaced walls is to draw in the powerful healing unit, the Zafreeti. This unit alone has changed the difficulty level in base design. It, along with your opponents champion, are what will wreak the most havoc on your base. The combination can leave your base completely destroyed, unless proper defenses are set up to separate the two. One thing to note, the Zafreeti does not heal other flying units. This was done to avoid the unit from healing other Zafreeti The upside defensively is that it also will not heal the Teratorn unit. Keep that in mind when designing your base. Upgraded Teratorn will hit multiple buildings at once. The use of spacing walls and buildings will minimize the damage received and allow your defenses to kill the Teratorn easier than before.